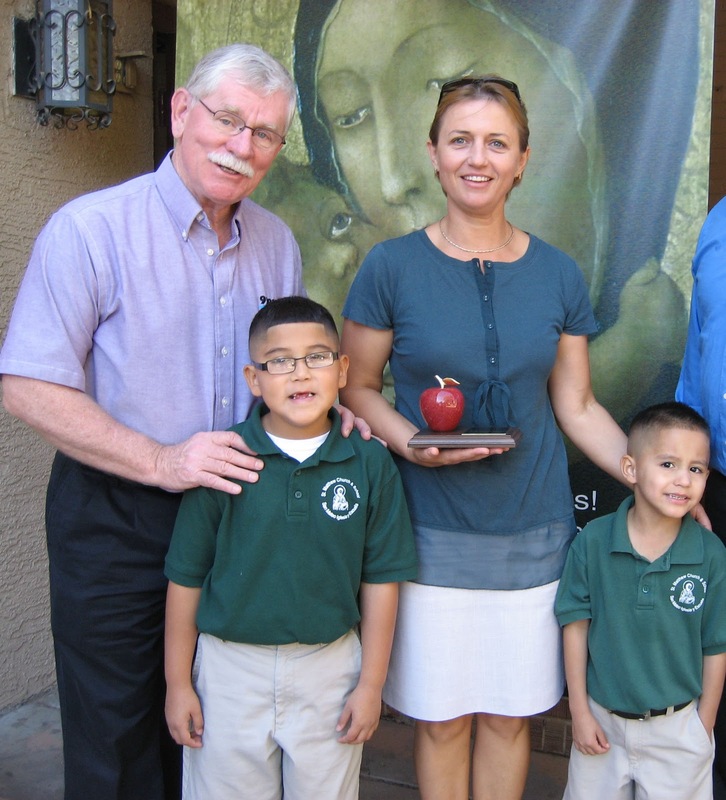 On Tuesday, teacher Angela Scadaru was surprised in front of the entire school when KEZ’s Marty Manning named her October’s Excellence in Education winner during the morning announcements at St. Matthews Catholic School in Phoenix. The teacher, who said she listens to KEZ on her way to work every day, was nearly brought to tears when Manning read a note from parent Frank Ramirez who nominated her for the award. Each month, a Valley K-12 teacher will be recognized for their outstanding contribution to education. Rio Salado’s David Staudacher and KEZ’s Marty Manning visit the teacher’s school to surprise them with their “Excellence in Education” Award. The surprise visit is broadcast live during the Beth and Friends Show. All winning teachers also are rewarded with $99, an Excellence in Education Award, and a Rio Salado gift bag! Students and parents of students are encouraged to nominate K-12 teachers who are excellent at their profession and have gone above-and-beyond the call of duty to make a difference in their community. Learn more about Excellence in Education at www.riosalado.edu/community/services/Outreach/Pages/excellence-in-education.aspx.